The Indian contingent performed exceedingly well in athletics, winning a total of 19 medals at Jakarta. In the 1990 Asian Games in Beijing, India finished with a solitary gold medal in kabaddi and got eight silver and 14 bronze medals. Within 28 years, the tally has risen remarkably. At the 18th Asian Games in Jakarta, India bagged a record 69 medals, with 15 gold, 24 silver and 30 bronze medals. The tally is commendable despite India floundering in Kabaddi (men and women) and ending up with a bronze medal in men’s hockey, though Harendra Singh’s team started as overwhelming favourites. There were two welcome subtexts in India’s performance in Jakarta. The biggest success is the triumph of youth. Of the 572- member contingent at least 200 were aged 23 years or less. Half the number of medals won by India was by youngsters, several of them relatively unknown. 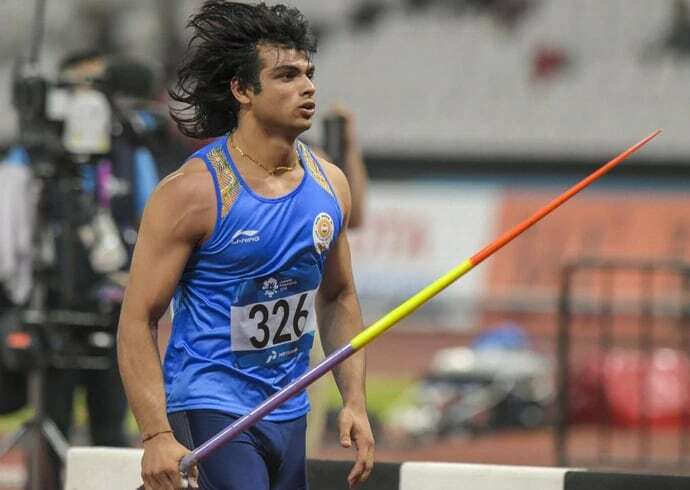 Neeraj Chopra, who produced world-class throws to win the Javelin throw, will be 21 in December. Tajinderpal Singh Toor from Moga who won the shot put with a new record is 23. He needs to improve by a metre to be considered an Olympic hopeful. 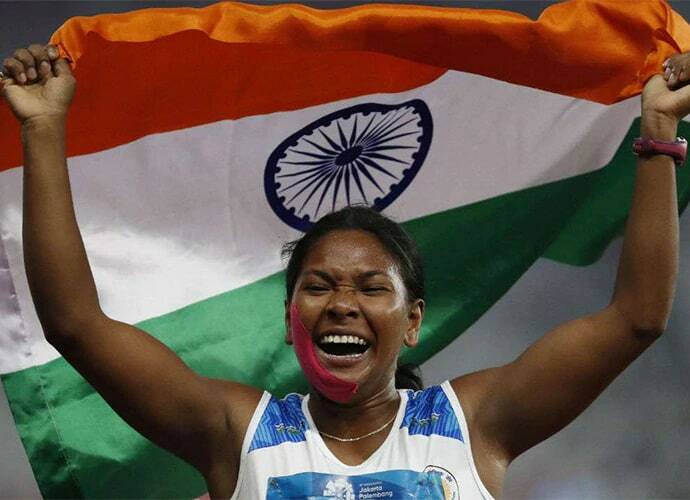 The Jalpaiguri girl from humble origins, Swapna Barman, is just 21 years and she became the first Indian to finish first in Heptathlon with 6,026 points. However Barman needs to be groomed. Her performance would have placed her 23rd in the 2016 Rio Olympics. Twenty-two-year-old Amit Pangal’s win over Olympic champion Hasanboy Dusmatov (Uzbekistan) in the light fly weight category (49 kg) is a vindication of developing sports culture and emergence of sports infrastructure. He comes from a family of small-time farmers who took up boxing in Mayna village in Rohtak because local coach Anil Dhankar had set up a boxing academy there. After his gold medal win, Amit admitted that if there had been no academy in his village he would not have taken up boxing. Similarly, Saurabh Chaudhury from a remote Meerut village, also the son of a farmer, won the 10m air pistol gold medal by maintaining a calm temperament. A precocious 16-year-old Saurabh took to shooting because of a local range set up near his house. Shooting in India has crossed the class divide. It is no more the monopoly of children of aristocrat or upper middle class families or those from the services. It has become more egalitarian and democratic and hence more successful. This transition has occurred due to the setting up of local, makeshift academies which have been laying the foundations across disciplines. Another welcome development is the support of NGOs like Olympic Gold Quest (OGQ), JSW and Go Sports Foundation that have good packages for elite athletes. OGQ got a specialised Georgian coach Beneditis for Bajraj Punia, who showed exemplary technique and fitness to win the men’s 65-kg freestyle gold medal. The comeback of talented grappler Vinesh Phogat to win the gold medal in women’s 50kg freestyle by outmanoeuvring a talented Japanese grappler was amazing. Vinesh was down and out after the 2016 Rio Olympics due to knee ligament trouble. But OGQ ensured she had an operation done by the best specialist in Mumbai and looked after her rehabilitation programme. The remarkable aspect of this generation of Indian athletes is their lofty ambitions. Vinesh, though engaged, has postponed her marriage till after 2020 Tokyo Olympics so that she can concentrate on getting an Olympic medal. Bajrang Punia went home for only one day after getting a gold medal and then went back for training. Under the government’s Target Olympic Podium (TOP) scheme, many sportspersons are provided regular financial assistance for training. Similarly, the Army Sports institute in Pune is doing yeoman service by providing excellent facilities for their athletes to train. Pugilist Amit is from there as are the quartet of Dattu Bhokanal, Sawarn Singh, Om Prakash and Sukhmeet Singh, who exerted every sinew to win the men’s quadruple rowing gold medal. Another welcome development was medals in new disciplines like Kurash (Uzbekistan martial art), Wushu, Bridge and Sepaktakraw. Pincky Balhara (Delhi) and Malaprabha Yallapa (remote village in Karnataka) won medals in Kurash. They were both former Judo players. Pincky trained at the Baba Jagannath Judo academy in Munirka before switching to Kurash. India excelled in athletics and deserves plaudits as they now face a much tougher challenge than they did two decades ago. It is not just the presence of the Central Asian Republics which makes the difference, but also the new trend of poaching athletes from African nations. Oil-rich countries like Bahrain and Qatar are using their wealth to get Africa-born athletes to represent their adopted countries. Bahrain won 12 gold, six silver and seven bronze medals in athletics due to their imported athletes. Three of Qatar’s four gold medals also came from their African athletes. This is a new trend in world athletics with many European countries also doing the same. But the Olympic Council of Asia has hazy guidelines about time constraints for switching nationalities and competing in the Asian Games. For instance, Oluwakemi Mujidat Adekoya of Nigeria won the women’s 400 metres gold medal in 2014 at Incheon, just 18 days after she became eligible to run for Bahrain. She applied for the citizenship of Bahrain in 2013 and in less than a year became eligible to run for her adopted country. From 2012 to 2018, 48 African athletes have moved to Bahrain. Despite these difficulties, athletics provided India with the maximum number of medals, 19 in all, at the recent Asian Games — the maximum in any sport. For the first time since the 2002 Asian Games in Busan, India bagged seven gold medals in athletics. It is India’s best performance in athletics since the 1978 Bangkok Asian Games, when Hari Chand got a distance double of 5,000 and 10,000 metres and India got eight gold medals. Way back in the inaugural 1951 Asian Games, India won 34 medals in athletics with 10 gold medals but except for Japan competition was limited. In the new millennium, India has now won five successive gold medals in the women’s 4×400 metres, thereby proving the depth of talent that exists in the country. No other Asian country, since Busan 2002, has produced a quartet of women quarter miles that are consistently good. In Jakarta 2018, three of the quartet were new — Sarita Gayakwad (24) Hima Das (18) and VK Vismay (21). Only MV Poovamma (28) was a member of the 4×400 metres relay team that won the gold medal in Incheon 2014.